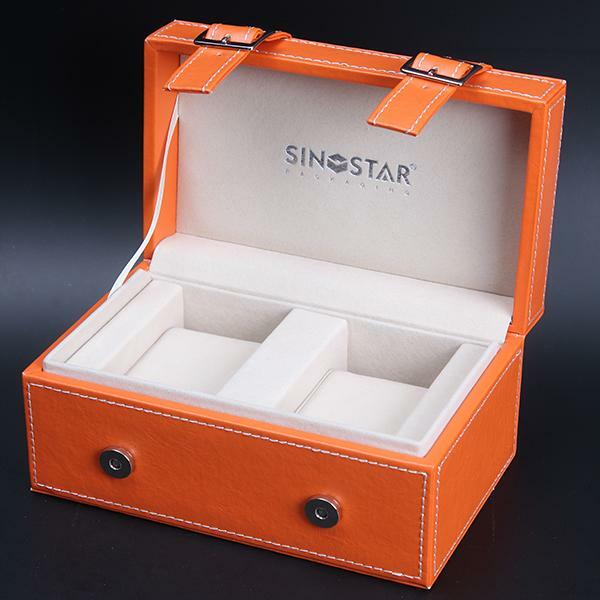 Watch case with divider for two watches, ideal for travel or for storage. White Line Edition, made for collector. 2. 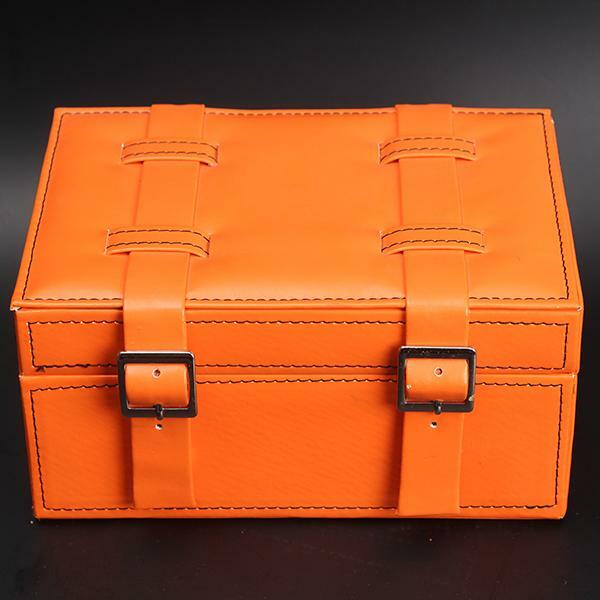 Color: Orange or change as customer's requirements. 3. 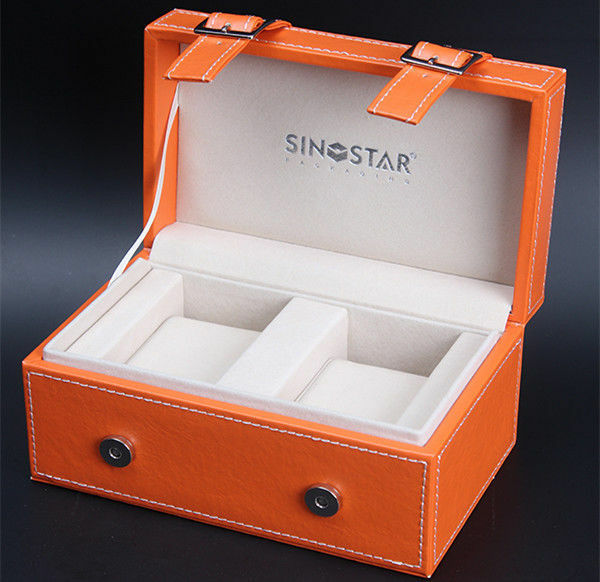 Materials: wooden box wrapped by orange leather, inside with white color velvet. 4. LOGO: Print customer's logo on the box outside top/inside top. 5. Packaging way: Cardboard box packaging. 6. Trade terms: EXW/ FOB/ CFR/ CIF/ Door to door. All our products are designed and made according to each customer's different demand. We have no standard lines available from stock. Yes, we have our own factory and have been in providing professional solutions in packaging industrial over 10 years. As a general rule our MOQ is 1000pcs. Although on occasions we have produced orders for less than 1000. However, for small orders, costs are likely to be very high when considering repro, printing, tooling and set-up costs. After price is confirmed, you can require samples to check our quality.